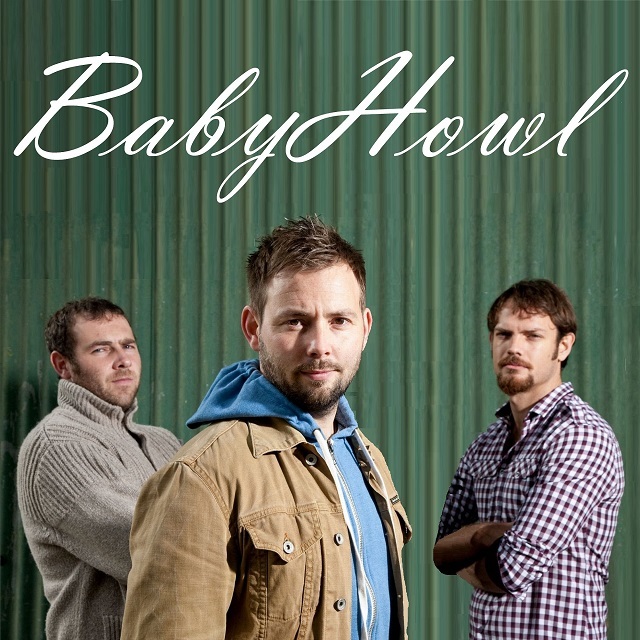 BabyHowl are an exciting Indie / Alternative / Funk Rock band from Bracknell in Berkshire. Known for their eclectic range of songs and high energy sets, BabyHowl are fast becoming one of the most sought after acts on the local music scene. BabyHowl’s debut EP, ‘Coalescent’, was released to the music world via digital stores in January 2014 & has had radio exposure online and on BBC Berkshire’s Introducing show where the band were invited in for an interview which was aired in early Feb 2014. BabyHowl have since been promoting the EP with a string of local gigs and are looking to reach and engage with audiences across the country. The band have already started recording a debut album and are soon to be releasing a bonus live video track from the upcoming album. With songs hitting on topics such as the everyday struggles, regret, escaping, lost love ones, self-reflection, family feuds, family loss, drug addiction & alcoholism, gambling, & more, there is something for everyone in the bands’ music. In October 2014 BabyHowl headlined the hugely successful inaugural Oxjam Bracknell in their hometown & also played Oxjam Reading Takeover. 2015 they plan to be a big year for them recording & releasing their debut album, as well as further gigs & hopefully festival slots. They welcome all enquiries & interest in their music. BabyHowl are fast becoming one of the UK’s hottest new acts combining a wide range of influences to bring listeners an eclectic range of upbeat tunes to appeal to a wide range of listeners. Best known for their live performances the Berkshire based band have released their debut E.P to the digital world and are currently working on a debut album whilst performing on stages across the country!!! After winning a county wide Battle of the Bands at the legendary Jagz in Ascot, BabyHowl have been busy performing on main stages at the infamous BUGJAM, Brighton’s Over The Moon Festival, Oxjam Reading Takeover, headlining the inaugural Oxjam Bracknell in their hometown and playing Proud Camden in London just to name a few!!! With Gigs lined up at The Fiddler’s Elbow Camden, The O2 Academy Islington and more over the coming months and festival stages during the summer of 2015 promises to be a busy year for the talented trio!! Be sure to check our gig listings for up to date details on upcoming gigs! !